While I was making dinner Henry came into the kitchen with his red bucket. He put the bucket on the floor and put a few blocks inside. Then he went into the living room and came back with Stephen’s phone and his toy keys. 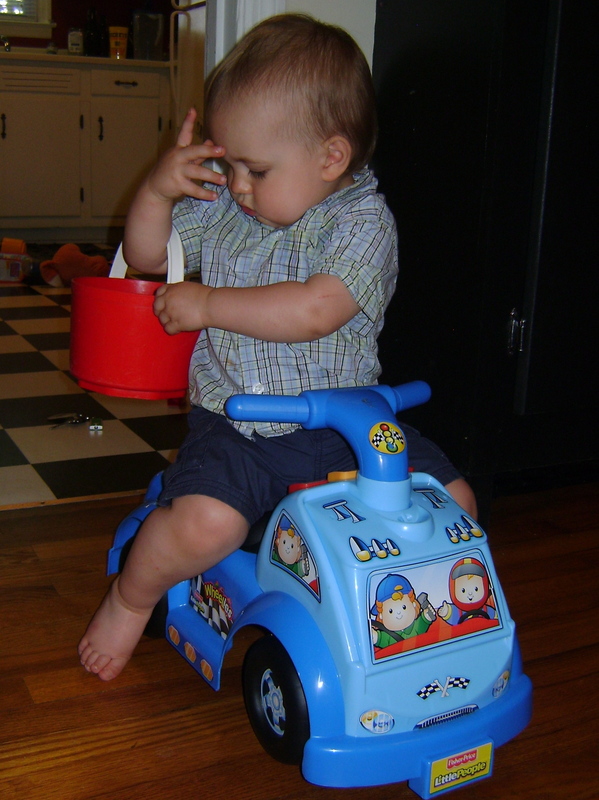 He put both items into the bucket and slid the handle of the the bucket up on his arm. Henry then came over to me and taped on my leg to get my attention. He babbled at me for a moment then waved bye-bye. I said bye and waved back at him. 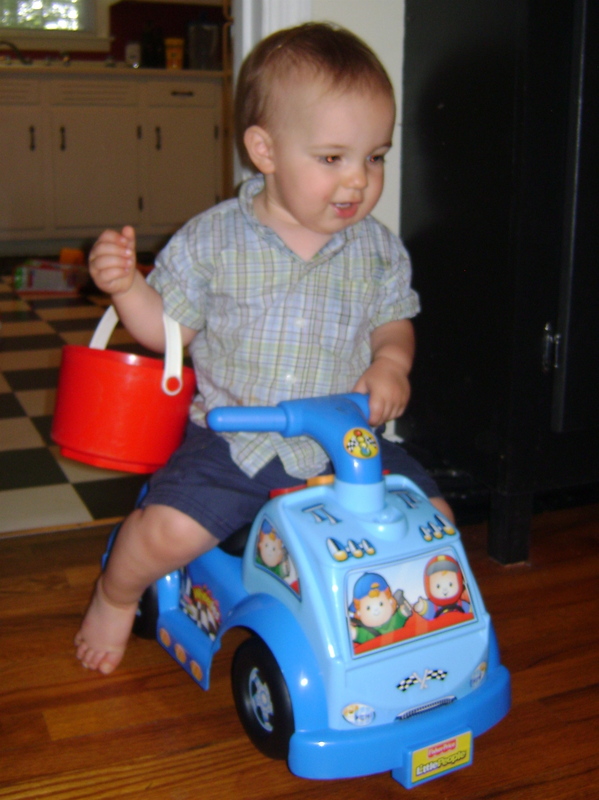 With his bucket still on his arm he walked over to his car and rode it into the dining room. When he came back to the kitchen a moment later he dumped everything out of his bucket and repeated the whole process. Stephen thought Henry looked too feminine with his pretend purse……I thought he looked so stinkin’ cute!! I know he has done some imaginative play before, like when he pretends to cook. But this is the first time I have seen him act out a whole story line! The wonderful world of make-believe is just around the corner…..